The 2nd day of the European Data Forum 2013 in Dublin, Ireland started with a very interesting keynote talk by Knut Sebastian Tungland (Chief Engineer IT at Statoil) giving insights about the challenges that Statoil are facing when working at the bottom of the sea and how the understanding of the available data can help to work more efficiently and how to avoid accidents for humans as well as for the nature. This keynote was followed by an Open Data Session with Florian Bauer of REEEP (presenting the reegle tagging API), Malte Beyer-Katzenberger of the EC presenting the EC Open Data portal and John Sheridan of UK National Archives showing the linked data system of legislation.gov.uk and the benefits of it. The morning of the 2nd day of EDF2013 provided 2 parallel sessions afterwards: a languagel technology panel as well as an introduction to the BIG Project. Day 2 brought a new achievement to the European Data Forum - the EDF2013 exhibition space with 32 exhibitors - the 2 hours lunch break was a good opportunity for allparticipants to explore the projects, products and demos on (big) data solutions. The afternoon was opened by an inspiring keynote by Gerhard Kreß (Director Strategic Transformation at Siemens AG) - followed by two 1 hour sessions on Research and Technology, Impact on Open Data and Big Data, Open Data Projects and Case Studies and Experiences. 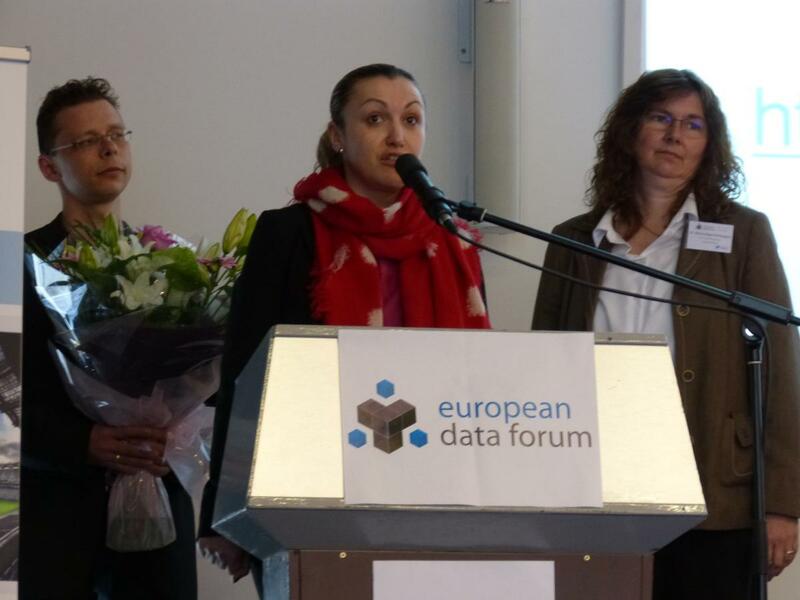 The EDF2013 in Dublin, Ireland was closed by the General Chairs Elena Simperl & Michael Hausenblas together with Marta Nagy-Rothengass and the local chair Deirdre Lee (DERI).